It’s less than a week to the Oscars and like every year I’m quite excited for it. I’ve been doing my best to watch most of the nominated movies; I’ve managed to come quite far, missing only a couple of the movies with multiple nominations. 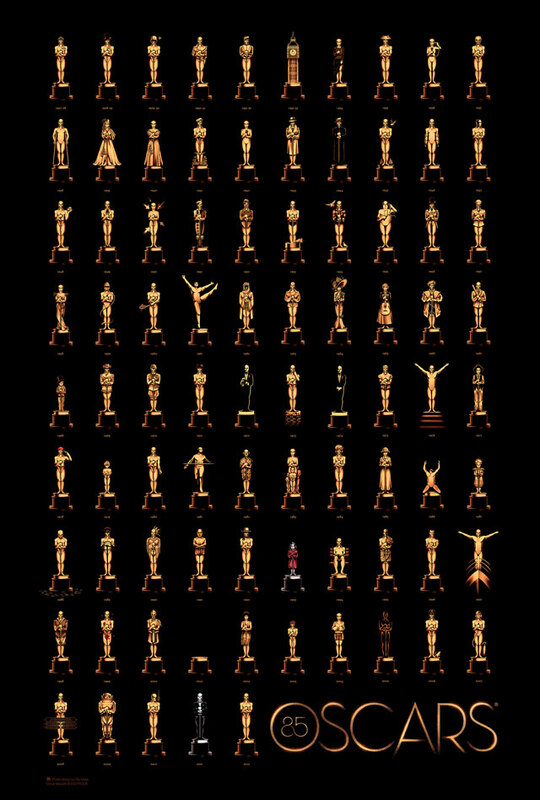 I love some of the designs Olly Moss has created in the past, and this year he’s worked with The Academy and Gallery 1988 to create the official “85 Years of Oscars” poster for the 85th Academy Awards. It features the golden statue as the Best Picture winner of each year. It’s awesome. I recommend having a look at the large version to see all the details. How many Best Picture winners can you recognize?